The Doula movement needs more Doulas like YOU> Thank you for all the work you do. YES! I will be sharing this with my network. Thank you again, Miriam. And as a community doulas must also begin to expect that doulas of color (and working class doulas and formerly incarcerated doulas and queer doulas) will be paid a living wage! In New York we have a couple of community programs that pay doulas a living wage while offering free or sliding scale services to the community. THIS is sustainable for us as women and trans coming from economically disadvantaged communities. It is possible for us as working class doulas and DOC and queer doulas to expect to be compensated with a living wage and to be able to work as doulas sustainably over time. To be compensated fairly for our work is in line with everything that we at Domestic Workers United have stood for as well. I have written a bit about the need to reconsider fair compensation on my blog. It is the first in a series of blog posts about the labor of labor doulas, and the implied reader is definitely a doula client, but I would LOVE to see DOC and other doulas sort of outside the privileged white hetero-, dual-income, suburban types be able to expect to be paid, and well, at least as well as the privileged are. All people who work deserve to be paid for our work, regardless of where we come from and regardless of whether or not what we are doing has historically been considered women’s work. Feel free to read and interact with my article. 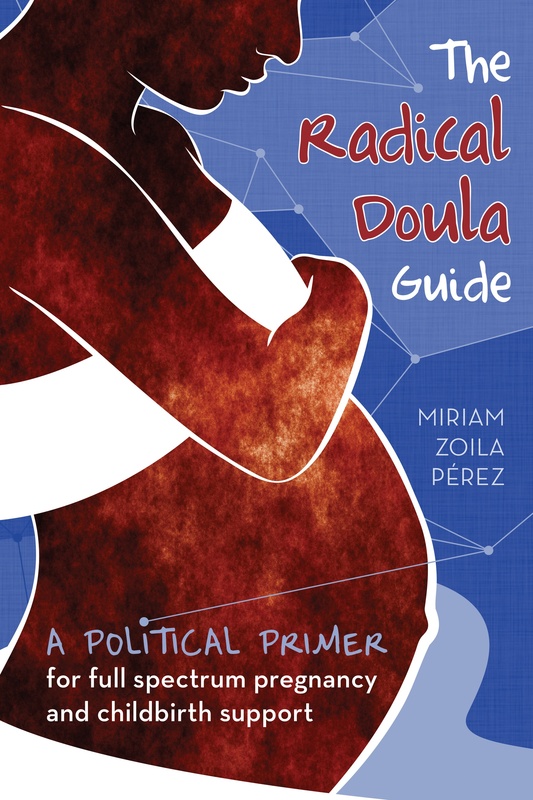 I know that Miriam, you have said before something along the lines of not wanting doulas to be paid anymore, which as a working class woman of mixed race, I respectfully disagree and say that this is not sustainable. If our goal is really to have doula support for every person who gives birth, we’re going to have to accept doulas in lots of different forms: nurse doulas, doctor doulas, family member doulas. We’ll need to tap into the existing networks of support and see what doulas have to teach everyone about supporting people through the journey of pregnancy and beyond. This doesn’t mean that professional doulas need not exist—-they can and should continue to provide doula support. Rather, we need to look toward more flexible ways of bringing doula care to a larger number of people. For me it’s really about the question of scale, and what it would take to bring a paid doula to every birth. I don’t think that’s realistic (because of the associated costs, based on the number of trained doulas we’d need, and how the institutionalization necessary could limit our ability to make change). Not because paid doulas shouldn’t exist, but because if we want everyone to have the benefit of doula support, we’re going to need to look to additional models of providing it on a large scale. Dear Miriam, Thank you for your response and thoughts. I look forward to writing more on the thoughts and feelings that these topics and your response. I am so glad to read and understand a more nuanced picture of your thoughts on these topics, and also enjoy that we are in more agreement than I had thought. I stand corrected. I am working on a blog post to share my thoughts about the points you bring up. I really want to speak to so much here, especially on the part about professionalization of cultural traditions that are really a part of our many doulas’ birthrights. I will get to this in a couple of days. Just to clarify, I am not speaking for Domestic Workers United here, but as a rank and file member expressing my own thoughts on the matter. What an outstanding project by women and for women! It would be wonderful if absolutely every single woman would have the choice to have doula support at the birth of her child/children; however, you do the best that you can- open to many options of worth- then you press on. My husband and I are very proud of our daughter who has a part in this effort and help for women. She has been working with and helping women for over a decade and is a loving, devoted, and strong-willed individual. BJP must uplift the whole family- women, men, and children. I admire all of you and pray the Lord’s blessing upon you, your families, this project and your dreams. Healthy babies, mamas, and families! I get your blogs as a digest instead of reading each individual article as its posted, and am so disappointed that I missed the deadline on the donation page! If you know of any other way/organization raising money for this cause, please share!